Do you want to know which is the best encrypted messaging app out there and how it can protect your valuable data? This guide might be exactly what you’re looking for. We compiled a list of useful encrypted apps because the struggle for keeping our data secure is fiercer than ever. Governments crave for it, companies seek access to it, and cyber criminals probably want it the most. Many of you could believe that all the confidential data shared is safe via Facebook Messenger, Skype or Snapchat, but sometimes it’s just an illusion. The recent events in which Facebook shared users’ private information with Cambridge Analytica in what seems to be one of the social network’s largest data breaches, should make us more aware of the importance of data privacy. Use this privacy and security guide to better secure your Facebook account. Without end-to-end encryption, your conversations most likely will get into the hands of cyber criminals, and other malicious actors focused on stealing them. End-to-end encryption means encrypting communications in order to make information unavailable to third parties. So when two or more devices communicate via an app that features this level of encryption, the information will be transmitted using a secret code rather than insecure plain text. As a result, only the people communicating can read the messages and no other person. Not even Internet service providers, the app maker, the government or anyone else. The data is protected against tampering, surveillance, cyber criminals while it’s transmitted and stored. The encryption key is stored locally, for improved protection. 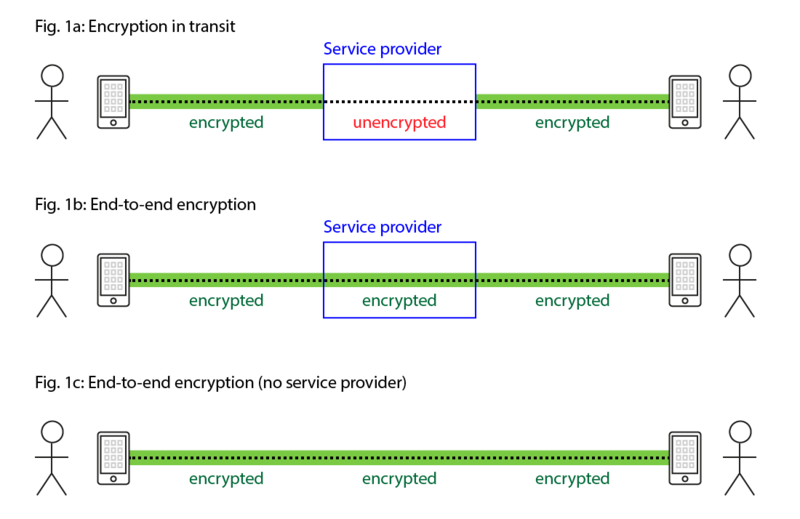 Although encryption in transit is widely used, it has serious security problems. For example, the service provider could be hacked by an adversary, or compromised by an insider, causing sensitive information to be leaked. A fault in the service provider could cause data to be corrupted. For these reasons, security experts are pushing towards widespread use of end-to-end encryption, which reduces the exposure to such attacks. Since 2016, WhatsApp has enabled and implemented end-to-end encryption, so users can enjoy a more secure communication. With more than 1.5 billion users, the platform has been acquired by Facebook and offers a free app to small-to-medium sized and enterprise businesses alike. Security-wise, encryption enhances communication privacy and protects users’ messages from impostors or malicious actors. While security flaws may appear, if cyber criminals were to breach WhatsApp today, they couldn’t decrypt your conversations. That’s due to the encryption and to the fact that WhatsApp doesn’t store your messages on its servers. When it launched its 6.0 version, Viber also rolled out end-to-end encryption, providing more safety for its users. 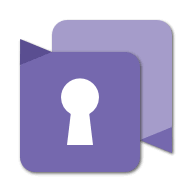 The app maker even created a Viber Encryption Overview which serves as a great guide for those who want to learn in-depth information on this security enhancement. Since 2017 its corporate name has been Rakuten Viber and is currently based in Luxembourg. This private chat app has plenty of useful features in order to offer users high-quality calling experience and all of them are secured, so the information shared is protected along the way with the end-to-end encryption system. As long as you make sure to use the sharing method pointed out by Viber, your data will remain encrypted from your end all the way up the recipient. Another secure texting app that you can use to This app has quite an unusual story. It was originally built by a team of Japanese engineers as a solution to communicate after the devastating Tōhoku earthquake which happened in 2011. The calamity damaged the telecommunications infrastructure all over the country, so the only way to communicate was based on Internet-connected platforms. The same year, LINE added end-to-end encryption to its platform. This featured is called “Letter Sealing” and it’s available to all its users. They just have to turn it on to benefit from it. In their own words: “Telegram is a messaging app with a focus on speed and security.” The app has reached 200 million active users in March 2018 and continues to grow. “And when you delete messages on your side of the conversation, the app on the other side of the secret chat will be ordered to delete them as well. All secret chats in Telegram are device-specific and are not part of the Telegram cloud, meaning that you can only access messages in a secret chat from their device of origin. If your device is safe, your secret chats are safe as well. Similar to other private chat apps listed above, KakaoTalk is a Korea-based messaging app that fully encrypts our conversations since 2014! To benefit from this feature, you have to use the “Secret Chat” feature, which is inspired by Telegram. This feature offers users the option of securing messages with end-to-end encrypted chatting option. However, KakaoTalk’s default chat mode is not end-to-end encrypted, so you’ll have to enable it. The app makers boast that KakaoTalk is used by over 90% of smartphone users in South Korea, for which privacy and data security are main concerns. Here’s another secure messaging app that uses encryption system and can keep your messages safe. Whisper Systems created Signal as a successor to two separate apps dedicated to encrypted voice calling and encrypted texting. Encryption was always at the core of the company’s products. When Twitter acquired it in 2011, the goal was to improve the security in the microblogging platform. Its encryption engine is open source, which means is available for everyone to inspect. Signal is used by leading figures in cyber security and data privacy, such as Edward Snowden and Bruce Schneier! That’s because in Signal all communication is encrypted end-to-end by default. Recently, the app received a $50 million investment from the WhatsApp co-founder Brian Acton which is supporting the non-profit Signal Foundation’s mission of “making private communication accessible and ubiquitous”. It can be downloaded for free on Google Play or App Store. What Dust is trying to create is a social communication platform with enhanced security and privacy, by using a combination of AES 128 and RSA 248 encryption. Here’s another secure texting app that we suggest giving a try. Everything you communicate while using Threema is encrypted end-to-end: not only messages but also group chats, voice calls, media files and even status messages. Your messages can be read only the intended recipient, so nobody else can interfere and have access to them. The app makers also boast that they delete the messages you send from their servers once they’ve been delivered. Threema app has a “Private Chats” feature that can help users protect individual chats with a PIN code. This way, confidential chats are protected from malicious actors. Another great thing about this app is the QR code and key fingerprint available for user verifications to prevent man-in-the-middle attacks. Another chat app that offers end-to-end encryption was created in 2012 by a group of security experts and privacy advocates. This app is open source and doesn’t require a phone number or email address to register. Built with privacy in mind, Wickr I does not collect data or have access to users’ data. This page dedicated to the encryption standard used in Wickr is extremely useful for those who want to understand how end-to-end encryption works. Cyphr is another encrypted messaging that is easy to use and free for both Android and iOS users. The company’s Chief Technical Officer explains on the blog how Cyphr works in plain terms, so we recommend reading this section before you install the app. Golden Frog, the company which makes Cyphr, also makes a VPN product, so they certainly know a bit about privacy and security. Cyphr is a zero-knowledge messaging app, which means that your private messages cannot be read, shared or decrypted but third-parties. Although it doesn’t have desktop or web apps yet, Cyphr is worth a try. CoverMe is another secure chat app that uses end-to-end encryption technology for better securing your messages and files sent from intruders who try to get access to them. By using it, you can also make encrypted voice calls, without any records on your phone bill. The app also includes a private vault feature for extra security so you can use to store your files in and hide videos, photos, passwords and any files. Is another messaging app that focuses on keeping your messages safe, using encryption for text messages over the air and on your phone. Similar with Signal and Wickr Me apps, it is open source and free. 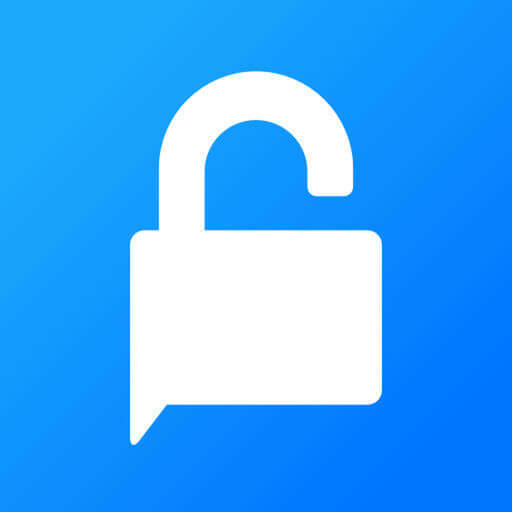 Formerly known as SMSecure, Silence app has a simple and friendly interface and uses encrypted SMS messages with no Internet connection required. Whether you are an Android or iOS user, you can freely start chatting and messaging with Pryvate app. In 2015 it won the award for “Best Business – Best Mobile App” and ensures your communications are encrypted and fully secured. This messaging app offers world-class RSA 4096-bit encryption technology and involves NO servers or middleman for communications, so users can enjoy direct communications with their colleagues, friends or family. It includes a “Self Destruct” feature which lets you delete all your messages sent on recipients device at any time. This small mobile messaging app uses end-to-end encryption technology for every text, image, and voice you are sending to one of your friends or colleagues, so no stranger can read it. Surespot app doesn’t share any data about you and transfers your conversations securely to other devices. This guide can show how the app works and how can you protect all your mobile messages. It worths knowing that it does not require or store your data. 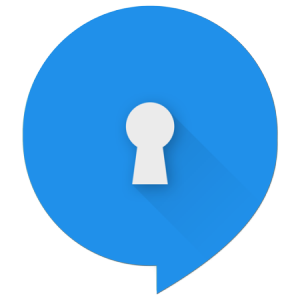 Here’s another great encrypted messaging app that is worth a try. Unlike other services out there, it offers end-to-end encryption by default to secure your conversations, files and images, text files and more. It is open source and collaborative platform, and has plenty of useful features: fully encrypted video calls, secure file sharing, synced between devices and others. Wire has a free version for personal use ( after creating an account) and paid one for organizations (large enterprises). It works on all popular platforms: Windows, Android, iOS, macOS, Linux, and different browsers (Chrome, Firefox, Edge, Opera). This list isn’t complete, so we believe we’ll update it soon. If you have any encrypted messaging apps that should be on this list to add, do let us know, or leave a comment below, and we’ll be happy to include them. Until then, remember that popular apps like Twitter, Instagram, Snapchat or Facebook Messanger don’t use end-to-end encryption, so your conversations and files may not be fully secured. If you are a Skype user like me, you should know that the company has introduced end-to-end encryption at the beginning of 2018. 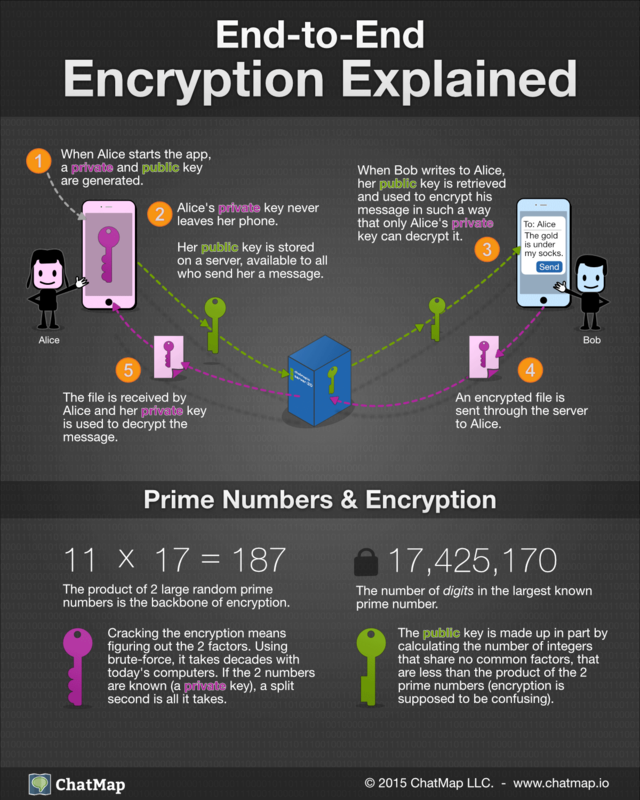 If you want to explore more data encryption methods, we have a dedicated guide you’ll find helpful. We’re living in a digital world where security and privacy matter more than ever. If you are concern about your data and value privacy, then it’s a must to use one of these encryption messaging apps to better secure them from spies, hackers or any other malicious actors. This article was initially written by Andra Zaharia in June 2016, and updated by Ioana Rijnetu in June 2018.
which can be used WITHOUT phone ? Hey there. Some of the options sound ridiculous to me, e.g Whatsapp. This is like the most insecure and unreliable IM available ever. We all know pretty well who owns it. The most secure application in my humble opinion is Brosix IM. Hello and thank you for sharing your opinion. We didn’t know about Brosix app, but we’ll consider adding on the list. Thanks! it is helpful and useful for me. So Signal ‘Private’ Messenger fails to work, when you have US Gov addresses being filtered. Set it up and see. I agree that our personal data’s are important and using social media app or websites is risky. so this helps a lot. Like FxLeaders, a signal provider who will surely secure you an excellent service! If you really want the best in an end-to-end encrypted chat and file sharing platform, HighSide is the best out there. thank you for this precious list: I discovered several apps I wasn’t aware of. What do you think about this issues? I knew the risks related to Tor but I didn’t know these details about Signal. For work I use Threema, that is half-closed but Swiss based, so less dangerous than USA based ones (all except Threema and Wire), even if somebody says that Russian government now can demand from Threema metadata and calls, but I don’t know if this is true! On your top 5 list we find Whatsapp and Telegram. On a swedish newspaper we can read that police have read conversation between people on Telegram and Whatsapp. If these apps are encrypted 100% how is this possible? Backdoor? Cracked encryption? Phone hacked? Open and see when they have the phone? But as far as I know all messengers use AES + RSA. AES is a good algorithm, but not perfect. There is only one perfect solution – the Vernam cipher. Just take a look at the official site http://vernam.im and read the section “How it works”. I think this is a real cryptopunk dream. Hello, Alex! Many thanks for your feedback! Vernam uses OneDrive and/or DropBox as a mediator. That makes them rely on 3rd party’s good will and – how exactly is that *secure*? “Secure” means that messages cannot be decrypted. Of course, messages go through OneDrive/DropBox in encrypted form. Using OneDrive/DropBox makes it impossible to ban service by IP as it happens in Russia with Telegram. Great insight you have here. If it’s hard for you to find Email Security comparison sites, then maybe I can help. Thanks for these great lists! We’re going to have a mobile app coming out soon – to help people to make unlimited call and text. Phone2 is a messaging app with a phone number, but it works anywhere with internet. I have read that Whatsapp and (fb)Messenger can generate new encryption keys, for the purpose of giving the company access to all of your content (chats and files). http://www.techworld.com/security/best-secure-mobile-messaging-apps-3629914/ Although that page seems to contain many errors (as if it was written with outdated info but the date-stamp changes to keep it in current search-engine results), I do recall, however, reading this about Whatsapp a year ago from other sources as well. What is your take on this? Does Whatsapp still have a backdoor? This for sure is something that should have been mentioned in your above article. Agree totally. Also, jurisdiction and open source status should be mentioned. Thanks for sharing the best encrypted messaging apps. Keep sharing more interesting posts. Facebook messenger is the least secure, in my opinion. What about a something that is not cloud based, is not intruded by server owners or outside government demons. if you read to the end, it is mentioned under “more to come”. However, the fact that encryption with a backdoor has been added in August 2018 tells us that this article is out of date, and needs all of it’s information refreshed. Hello, Timmi! Thanks for your feedback! We will update the article and refresh the information as soon as possible. Thank you! facebook messenger is not secure at all. Here we are talking about messengers who do not steal your data rather keeps it encrypted, and one the best apps to do that is SIGNAL. it is simple, fast and secure. messages sent on signal are always end-to-end encrypted and painstakingly engineered to keep your communication safe. No (middle) center server,end-to-end encrypted,internet connections via tor+bluetooth you make to create blog forum secure group. Poorly researched article, the information is wrong for many of these apps, they are *not* secure. The blog post fundamentally is a list of apps that their respective marketing departments say are secure and the ‘review’ this author posted is basically a regurgitation of the marketing department’s BS. You may want to do your own research and analysis before giving products your stamp of approval. Yes, it requires time and some level of capability beyond reading marketing material and skimming Wikipedia. My opinion of Heimdal Security was neutral; however after reading this, I will not consider recommending any Heimdal product to my clients. You have no credibility impo. Perhaps you can give us some recommendations? My choice had settled on WIRE, after extensively researching this in late 2017 to early 2018. However, although it is good, it’s program code is a resources pig! And on Windows it crashes often (per hour!). Point 4 is what eliminates Wickr – otherwise it would have been fine. Also, any hard facts on TOX? My concern with Tox is that anyone is allowed to write and use a Tox-compliant server app: might they be able to design it to hack into keys and decrypt messages as well? You can bet that the N,S.A is onto it if they haven’t already done it. Best one is https://hushtexting.com cause no app is needed and it supports all mobile browsers. It’s Anonymous and auto Deletes messages. Maybe no encryption but at least my wife and kids won’t know who I’m texting. Great review. One of the best is missing: https://hushtexting.com it’s web enabled so no app needed and no account just send link to a friend and u chat with him secretly no one will know. Nice article, it’s always going to be difficult to capture everything in a list like this one. I would like to suggest matrix.org – an open-source chat network with several different clients available for desktop and mobile. Encrypted chat that is closed-source is not really encrypted – someone just says it is and you have no way of checking. Thank you for your informative web page. Any encrypted calling and Texting app not devloped in US ? You have missed out the only Safe Messenger Zangi. It is probably the most secure and most private messengers in the market. It is not only *fully encrypted*, but it also has extra levels of security. Zangi is serverless, decentralized, and leaves no traces on the internet. This means user communication history is never stored on any servers, so it’s impossible for anyone to access user data. Hello, Suzan! Many thanks for your comment! Will have a look at this app and consider adding it to the list. Thank you for reading our blog! Zangi is not open source. Nothing encrypted is secure unless it is open source. Hi, Bob! Thanks for sharing this! I didn’t know about it, but we’ll consider including it on the list! Thanks! Hi Everybody, what about Zangi ? Hello, Atilla! Thank you for reaching out! I didn’t know about Zangi Safe Messenger, but we’ll consider adding it on the list. Thanks for your feedback! WhtsApp is not secure or safe. Recently was booted off & blocked from WA for testing how safe they are. As soon as I found an issue and questioned them about it, they sent me illegal and vile images then blocked my phone number from using it. WA is owned by Facebook which is monitoring you now if you are using it. Take WA off this list. Nit secure in any way. Nice blog. Recently I use one more app for business messaging that app name is WIBRATE. According to me, This app is really good and you can advertise with Wibrate and drive more traffic more leads and revenue for your business. When you talking about secure , how can you miss the Blackberry Messenger ? timᥱ. TҺanks and best оf luck. Whatsapp is completely unsecure if you use their auto backup feature for your conversations (which most people do). The conversations are stored as plain unencrypted text on facebook’s servers. Secondly, because Whatsapp is not open source there is absolutely no way of verifying that facebook are not recording everything. All it takes is for them to insert one line of code into the application for it to record every message before it gets encrypted and then all your messages are unsecure. Whatsapp is owned by Facebook which has a terrible reputation for privacy. The head/founder of whatsapp recently left because facebook wanted to mine whatsapp user information (ie, record the conversations and use them to create a profile on users). The head of Whatsapp (Jan Koum) then went on to donate 50 million dollars to Signal, and recommends everyone use that instead. Hi! Thanks for the info a few apps definitely looks interesting but once I download an app it becomes less attractive. I personally use hushtexting.com it’s definitely good quality and allows to use with no download. It’s all kept as secret so even better. Hello, Maria! Thank you for the feedback and for sharing your recommendation. Will check out this app and see if it’s worth adding to our list. Sorry Ioana, but I doubt that WhatsApp, Signal, Telegram or Viber are a good idea. Especially in the case of recent problems with Facebook. I mean, these apps can be secured, but still – they are owned by a big bad corporations or are currently on the spotlight from FSB (Russia). They are most popular apps, I’ll give you that. But I’m not sure about their level of privacy. Signal is by far the gold standard. No way Whatsapp should be ever trusted while owned by Facebook. The rest of the apps are playing catch up to Signal. This is not correct. Skype has already implemented end-to-end encryption earlier this year for Skype-to-Skype connections. What about UseCrypt – an european one. You didn’t mentioned that. This is not a proprietary product, uses the old signal protocol, closed code, not worth mentioning. I personally use hushtexting.com it’s by far the best way to chat without your close ones knowing. It’s anonymous and secretive and so easy to use. It deleted messages automatically and also locks your account so no way my kids see who I’m texting. They did a good job. I think you missed out Workapps Chat. It should’ve been here. Does anyone have any experience with chatcrypt.com and how would one even check if what the site says is true. I dont have any hacking experience so id appreciate any feedback about the safety of communication over that site. What a fantastic post! you did really a great job! This is comprehensive and helpful list. I want share one more app which is very useful for encrypted & private texts & videos that is EnKryptonite. With this app, one can securely send SMS ,Videos from their mobile devices.You should give it a try! I want share one more app which is very useful for encrypted text & for private messages that is EnKryptonite. You should give it a try! Many thanks for your feedback, Adriel, and thanks for sharing info about this encryption app. Thank you for this article. Here in the Philippines, a deadly authoritarian government led by Rodrigo Duterte has teamed up with telcos from China using Huawei-Made routers to spy on his political enemies resulting in many deaths. Use the of end-to-end encryption should prevent that. Thanks. A comprehensive list, however, Telegram, WhatsApp and Viber can hardly be called completely secure. Great to see Threema here, but I would add Symphony https://symphony.com/, which is more corporate-oriented for finance companies, and VIPole https://www.vipole.com/ got both a free privacy app and team solutions. Wire has messaging, voice calling, and video calling, all end-to-end encrypted. Which of these can be used across multiple platforms? I’m trying to find a free application that can be downloaded to a computer primarily and work across a switched network. If there is a phone app to accompany it, that may be a bonus. We were using Squiggle (secure because nothing leaves the network of it’s own accord), but now we’re looking to be able to chat between networks. You can find details about each app on their website. Most of them are cross-platform, so you should have no issues using them across multiple devices. 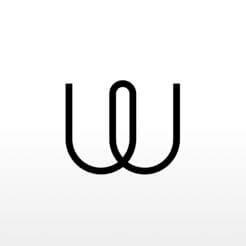 Wire is cross-platform, and you can use it on multiple devices. Available on Android, iOS, Windows Mobile, Windows 10, macOS, and the web (works on Chrome OS). Can you review Hypster-Heart ? Hi Dinos! Thank you for the suggestion. We don’t do reviews, but we’ll consider adding this app. Have a great week! After reading this post, I realized that- Whatsapp is the world’s most secure app for my privacy. But sometimes I use Facebook Messenger for my private calls. Is it secure for me? or, Facebook Messenger is how much secure? SaltDNA should be here. You should review it and it’s use for the enterprise. Thanks for the recommendation, John! Our list was destined for home users, that’s why we didn’t list any corporate products. But it’s good to have in mind in any case. Ahhh, no problem thanks for the reply Andrea. I’d really recommend looking into SaltDNA in the future. Is the perfect solution for businesses. For online chatting firstly i choose the Whatsapp always. But recently i download imo chat software on my android device. After reading you post; i know that whatsapp is safe for private calls or chat. But i want to know about the imo. Is imo safe for private calls? What about man in the middle prevention? About zom.im, conversation and SecureChat? I could not dwonload from the url. Can I get it from a ftp server? Really? Whatsapp? Secure? My foot! Never heard of something called BBM? Do a little research before u publish something rubbish! True , these are all paid reviews , how can they miss BBM ???? KryptoChat is a secure messaging application based on military-grade encryption and other security features. KryptoChat uses a military-grade encryption of the level RSA 8192-bit for asymmetric encryption, AES 256-bit algorithm for symmetric encryption and SHA-512 for signature algorithm. Custom encryption can be developed even at higher grade with multi-layers of symmetric encryption (up 99 layers using different algorithms). KryptoChat also uses protocols like Transport Layer Security (TLS), Off The Record (OTR) Protocol for chat, ZRTP for VOICE, and other security features like certificate pinning on dedicated Certification Authority. are you working for Facebook ?? How do you trust them ? did you execute a penetration test over the whole facebook network/servers? How you can say that WhatUP is secure ? Also today the pigs fly ..
You can read the details on their website. And yes, it is really encrypted. Can you please also review Safeswiss secure communication? We’ll check it out, Tim! Thanks for the suggestion. Hi John! Thanks for your suggestion. We’ll see what it’s all about and if it’s worth including when we update this guide. Since when XMPP is an encryption protocols ? Even in the wikipedia page the lake of end-to-end encryption is list as a weakness of xmpp (https://www.wikiwand.com/en/XMPP#/Weaknesses ). It’s good to provide sources, it’s even better to proof read them 🙂 Especially when we deal with encryption, encryption is a serious business. Thank you for the feedback! We’ll make sure to make this even clearer on the next update on the guide. I completely agree that encryption is very serious business, so your input is more than welcome. Thanks for making the time for it! how does Whatsapp work concerning the phone bill? Will it show calls or video on the bill? Hi Debi! No, those are conducted via your mobile data, so only the cost of the mobile data will be mentioned on the bill. I have been looking for secure communication solutions for a while now. Another part of secure and private communication, is whether or not the meta data is encrypted. The seemingly most secure Signal, claims to not store information on their servers, but technically, they (or FBI, NSA, …) could read/store a lot of information about users, e.g. – Who called who at what time. This doesn’t make it insecure, but it does create a trail of valuable data. Very good point, Dan! Thank you for sharing your perspective on this. Choosing the most secure app for messaging is a lot more challenging than it seems, but we hope we’ll all learn how to get better at this. Good Point.All the point are logical. Hi Kristy! 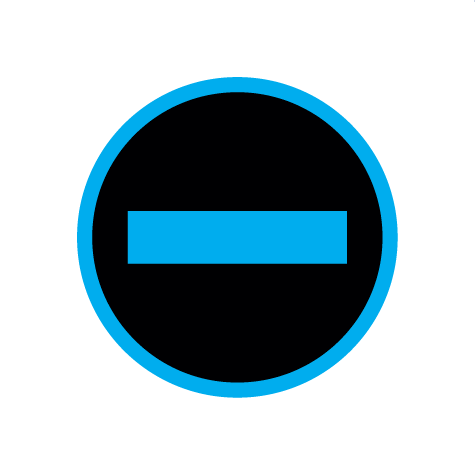 Textnow is not encrypted, so it can’t be part of the list. If that changes, we’ll consider adding it. Thank you, Claude! We’ll make sure to update the article to include these details as well. It would definitely make things easier for other readers as well. Thanks for reading and for providing feedback on it! Hi We have been using safeswiss encryption. These guys are a new Swiss based startup thier UI and end to end encryption including voice is very good. Good list. A few of us use Squealock (squealock.com). It is way up there in terms of security. Surespot should be on here too. Yes that toms hardware article decent alarm for cyber security. Wickr has all the features I need but it is too buggy and they deny any problems. Download Connect! Messenger the world’s most safe and secure messaging app from google play store. Download Connect! Messenger the world’s most secure messaging app from google play store.